While there were certainly some interesting announcements at The Game Awards last week, there was one game in particular that stole the show for me. developed by Obsidian Entertainment, the fine folks who made Fallout: New Vegas and Pillars of Eternity, The Outer Worlds is a "single-player first-person sci-fi RPG". Players will find themselves "lost in transit while on a colonist ship bound for the furthest edge of the galaxy" and will "explore the furthest reaches of space and encounter various factions, all vying for power". Obsidian has stated that "the character you decide to become will determine how this player-driven story unfolds. " The preview gameplay comes via Gameinformer and shows off the games gorgeously detailed environments and some of the systems at play in the retro-futuristic looking RPG. Obsidian has been working on The Outer Worlds for around two years so far, and expect the game to release next year. Looking at the footage, it's incredibly polished already, and I love the vibrant and colourful art style. Two years is a relatively short period of development for a game to look this good already. 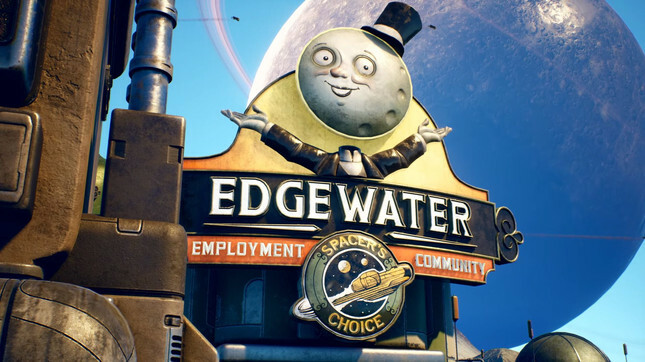 I'm ridiculously hyped to get my hands on The Outer Worlds and can't wait to see more. Check out the footage below and let us know what you think of The Outer Worlds in the comments. The Outer Worlds is shceduled to release some time in 2019 on PC, PlayStation 4 & Xbox One.